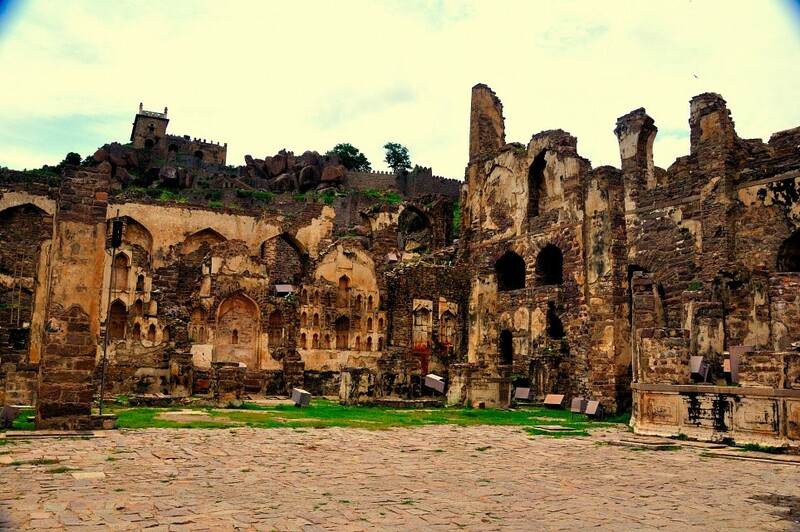 The Golconda Fort is a spectacular yet ruined fort in the Deccan which used to be the capital city of the kingdom of the Golkonda Sultanates, those who ruled from the 14th until the 16th century AD. Located just 7 miles west of Hyderabad - the capital city of the Indian state of Telengana or Andhra Pradesh, this medieval fortress is also known as 'Golla Konda' or the ‘Shepherd’s Hill’. With imposing walls, some of which rise up to a height of 60 feet, this fortress is one of the most magnificent forts in India. The mines of this region are known to have produced some of the most coveted and valued stones including the Koh-i-noor , Darya-i-noor and the Hope Diamond. During the Renaissance era, the term “Golkonda” in Europe became synonymous with wealth and fortune because of its rich mines in India. Rene Magritte ’s painting, Golconda, is named after this fort. This fort was constructed by the Kakatiyas to strengthen their defenses in the West. It was erected in between 945 AD and 970 AD based on the model of the fortress at Kondapalli. 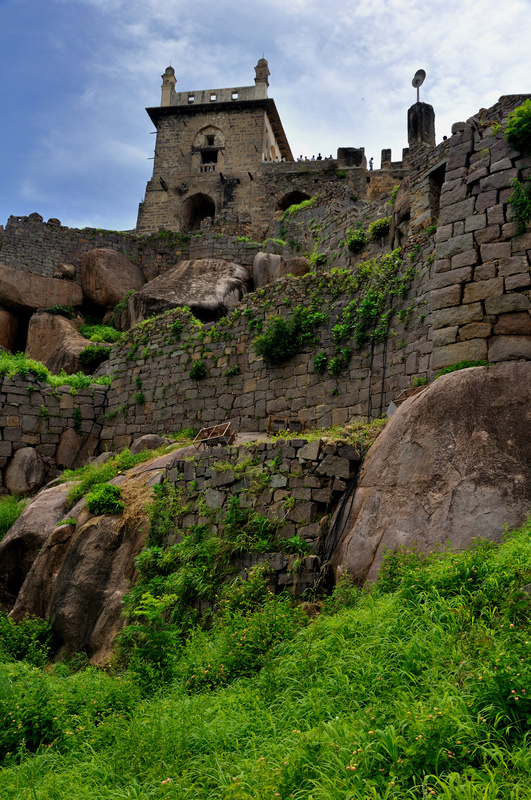 The Golkonda Fort stands on a granite hill which is 400 feet high and is surrounded on all sides by huge crenelated ramparts. Pratapa Rudra of the Kakatiya dynasty strengthened and rebuilt this fort. It was further reinforced by the Musunuri Nayaks, who ousted the Tughlak army and captured Warangal. However, as a result of a treaty in 1364, this fort was ceded to the Bahmanis by Kapaya Nayaka, the Musunuri chief. Initially this fort used to be a provincial capital of the Sultanates and after their downfall it was passed on to the hands of the Qutb Shahi Kings. It was a prominent center for trade and arts during the reign of the Qutb Shahi Kings in the first decade of the 16th century. During this time, the rudimentary mud fortress was expanded and transformed into a gigantic granite fort over a period of 62 years and this arduous task was undertaken by the rulers of the Qutb Shahi Dynasty. The Golconda Fort remained the capital city of this Qutb Shahi till 1590 when the capital was transferred to the city of Hyderabad. 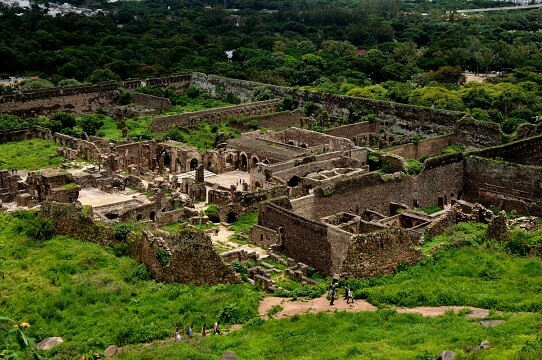 This fort was the most prominent center for Shia Islam in the country and many clerics from Bahrain including Kamal-al-Din and Sheikh Salih Al Karzakani immigrated to the fort of Golkonda in search of power and wealth. In 1687 AD this fort succumbed to a siege by the Mughal Emperor, Aurangzeb, and fell into ruins. It took Aurangzeb nine long months to breach this fortress and it is suggested that the fort only fell because of the treachery of a soldier who sabotaged the gateway. 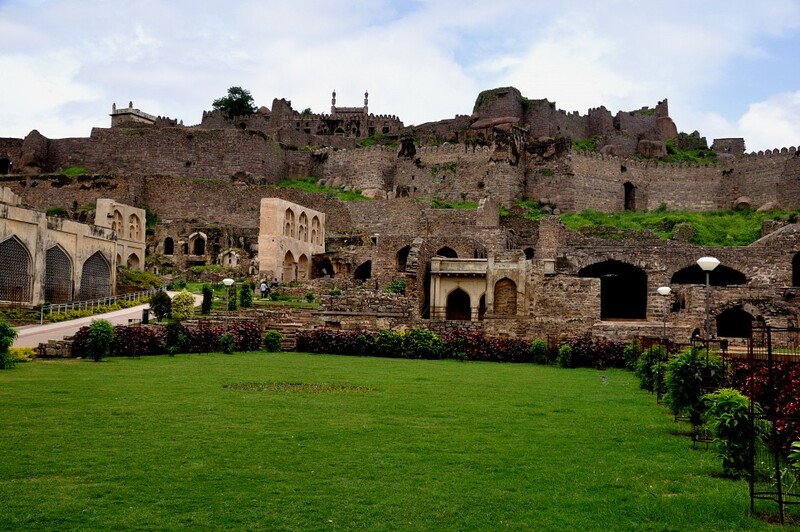 The Golconda Fort complex has four different forts inside and is surrounded by an imposing wall which stretches for 6 miles with as many as 87 semicircular bastions, 4 drawbridges and 8 entrances. 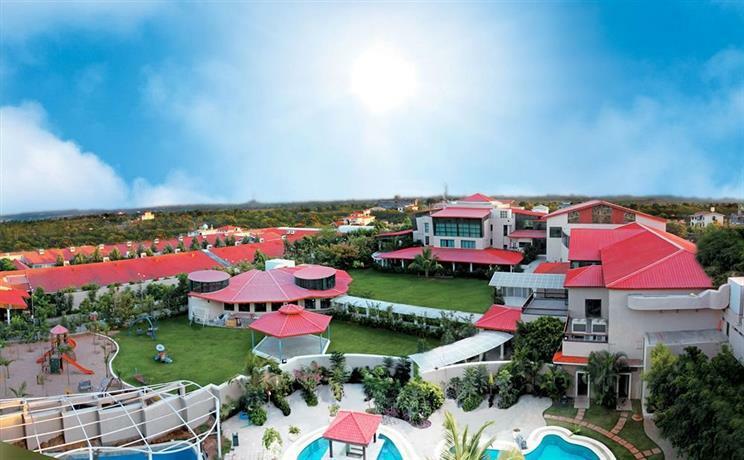 The fort complex is scattered with many royal apartments, temples, halls, mosques, stables and others. The Fateh Darwaza or the ‘Gate of Victory’ is studded with huge iron spikes so that elephants cannot batter them down during times of the siege. A superb acoustic effect can be experienced at this gate and a clap of the hand at the dome of the gate can be distinctly heard, even a kilometer away at the pavilion of Bala Hissar. In case of an invasion, this special acoustic system used to alert the royal family. How this system works is still a mystery to the present scientific world. This fort is divided into 4 districts, all of which are remarkable for the beautifully designed gates, domes, pavilions, temples and mosques. 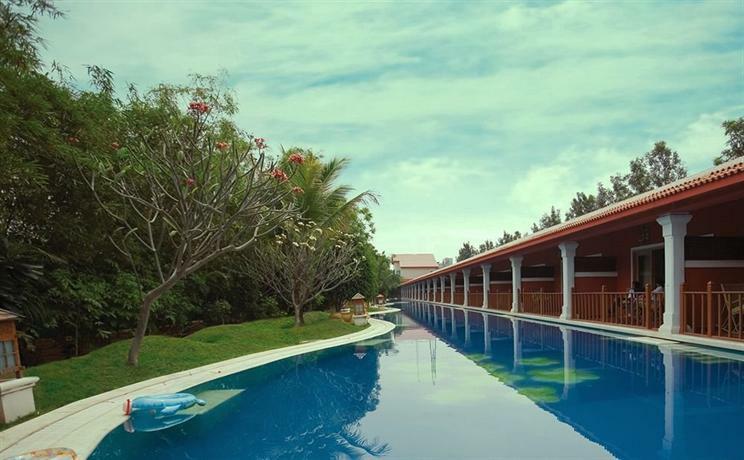 A walk in the lovely gardens of the fort will surely evoke a feeling of nostalgia for any travelers visiting this place. The Bala Hissar gate on the east of this fortress used to be the main entrance to this fort and it has an arch which is decorated with scroll works. 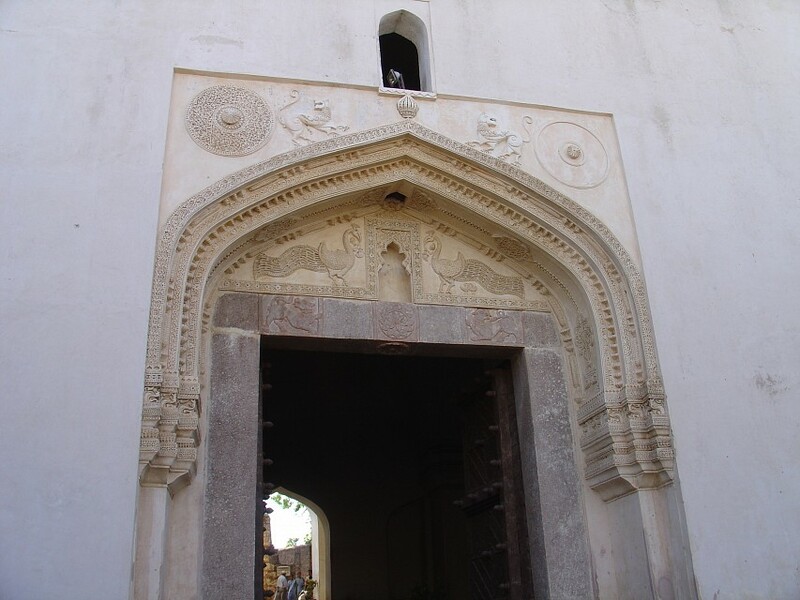 The space above the door is embellished with sculptures of peacocks whose ornate feathers flank an exquisitely carved niche on this gateway. The peacock sculptures on this entrance are an interesting blend of Hindu and Islamic architectural style. The Toli Masjid is located at Karwan which lies 1.2 miles from the fort. Mir Musa Mahaldar, the royal architect, helped with the design of this mosque. The facade of this mosque has five arches, decorated with lotus medallions and the arch in the center is bigger and more ornately decorated than the other ones. The mosque consists of two halls and the entrance to the inner hall has three highly decorated arches, which all the visitors notice. This fort is famous for its ingenious system of acoustics. It is said that a secret tunnel which runs underground takes one from the Durbar Hall to a palace on the bottom of the hill. The tombs of the Qutb Shahi Kings lie at a distance of 0.6 miles from the walls of this fort. These tombs are encompassed by lovely gardens and many beautifully sculpted stones. It has been said (though yet not proved) that from here there is a secret tunnel one may take to the Charminar, which is located in the nearby Hyderabad City. 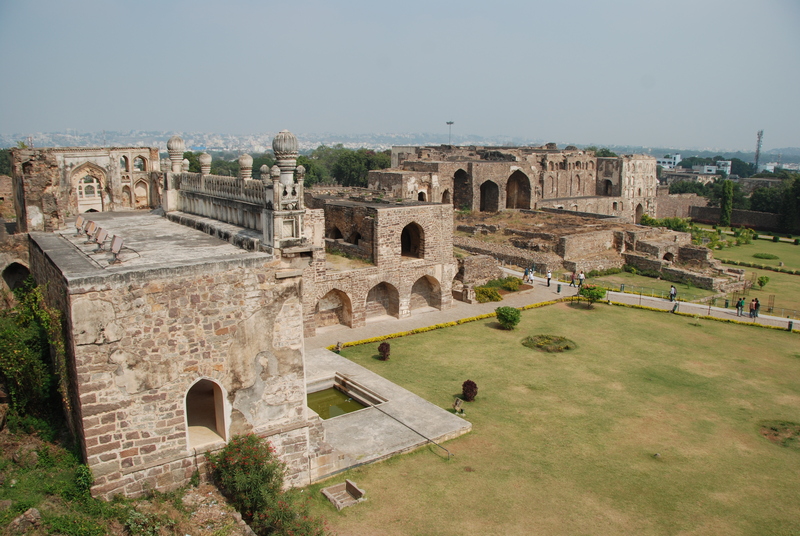 Other buildings of importance within this fort are the Ashlah Khana, Kala Mandir; Ambar Khana, Ramadas Bandikhana; Taramati Mosque, Nagina Bath; Mortuary Bath, and others. This fort is also famous for its advanced system of water supply. Persian wheels were used to raise the water, which was stored in tanks constructed at various levels. 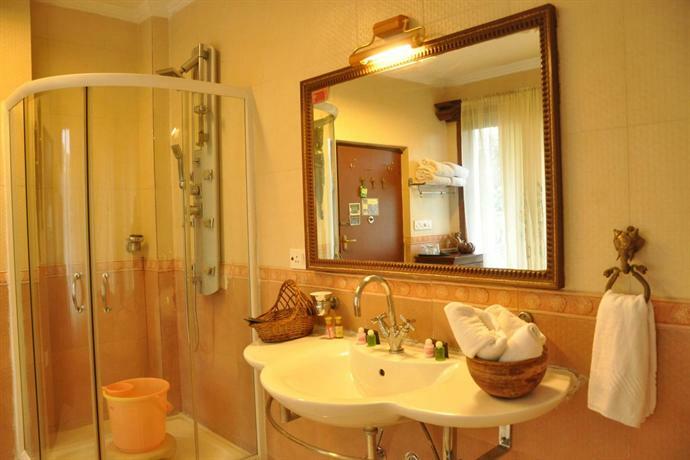 This water was then distributed to all the different apartments, gardens and fountains with the help of stone aqueducts and an intricate network of clay pipes. It has been said, that the ramparts of the Naya Qila or the new fort which is an extension of the original fort will be soon transformed into a golf course. This fort is open to visitors every day of the week except Mondays from 9:30 AM to 5:00 PM. 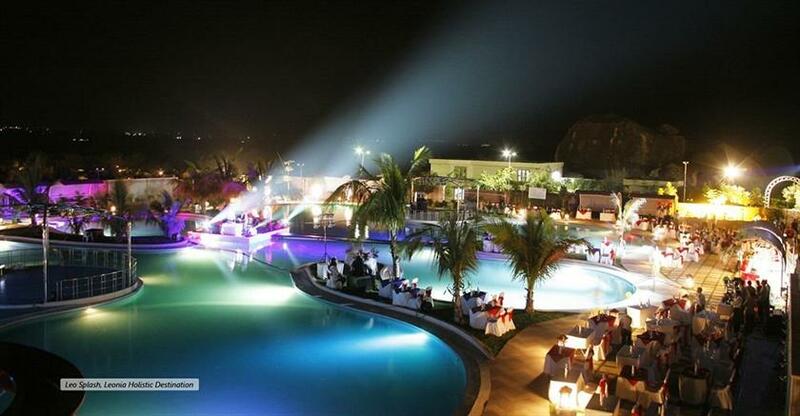 One can also visit the light and sound show in this fortress which starts from 7:00 PM and continues for an hour. Entry fee to this fort for Indians is ₨ 5 ($0.08) whereas foreigners are required to pay ₨ 100 ($1.60). Golkonda Fort, which is only 7 miles from Hyderabad, can be reached from the city in a very short amount of time in a car or by bus. 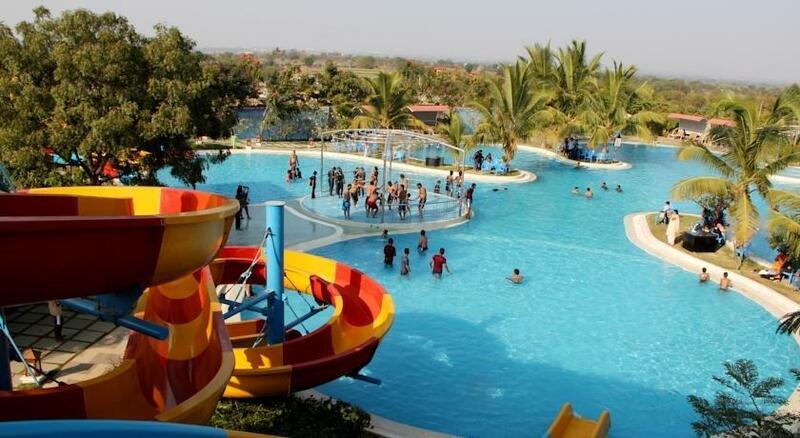 Hyderabad is the capital city of the state of Telengana and many trains and flights connect this city with other parts of India. Travelers to Hyderabad must visit the Charminar which is one of the most remarkable structures of the city. Visitors with a knack for historical places should also visit the Kondaveedu Fort and the Chandragiri Fort in Andhra Pradesh.